I spent Sunday morning listening to some soft chill out music while enjoying some coffee, brioche and my favourite comte cheese that my partner brought back from France. 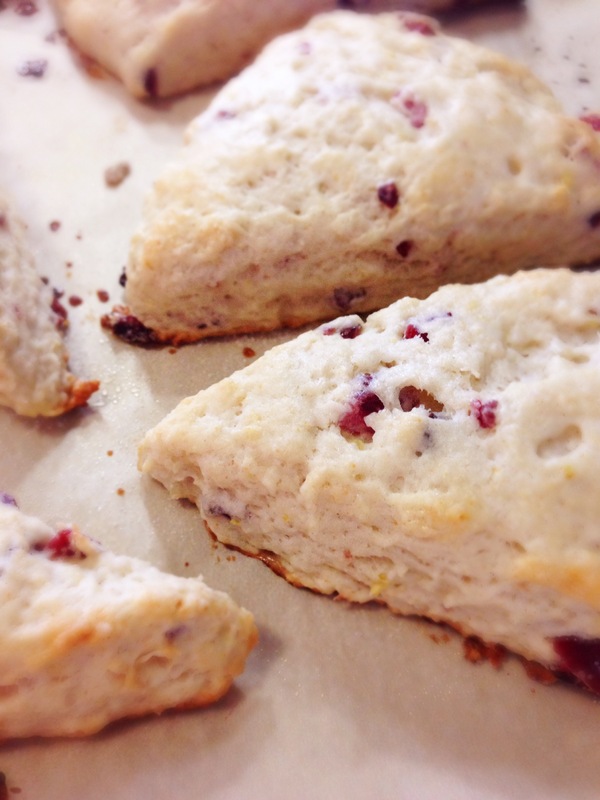 This is how I made these soft pillowy clouds of lemon and cranberries. Crank up the oven to 425 degrees. Toss all the dry greeds in a bowl, then drop in the tablespoons of butter. Using your hands, get squishy and mix the butter with the dry stuff until it’s all mixed together and looks like small peas. 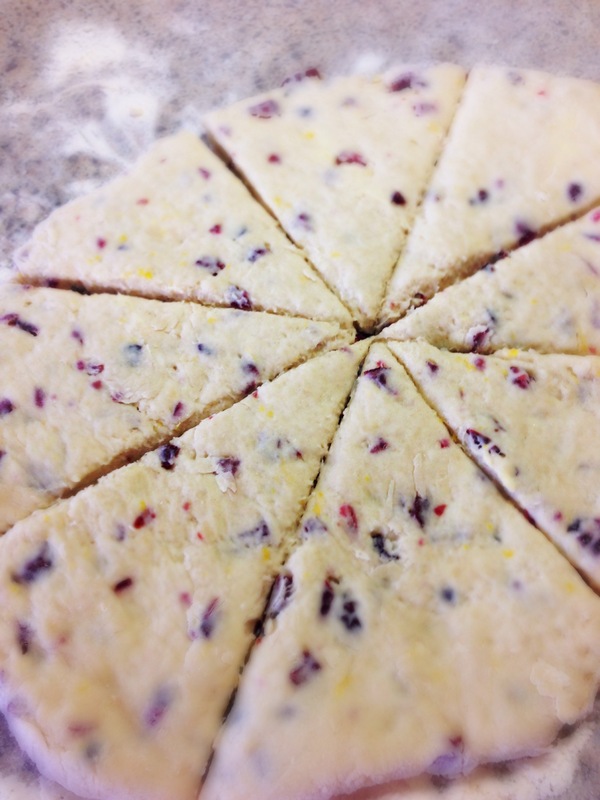 Throw in the lemon zest, cranberries and buttermilk. Mix until all ingredients are combined and you are able to form a ball. Then pound it out onto a floured surface until you get them to be about 2 inches thick. Cut them into wedges or into circles using a round cup. Place on lined baking sheet and bake for 18-20 minutes. Let it cool a little but try to enjoy them warm with some butter and your fav jam.